Teapot, with hunting scenes (man and dogs) in white sprig relief set against green enamel. A small rivet hole shows that the item had been repaired at some time before it was discarded. Victorian. 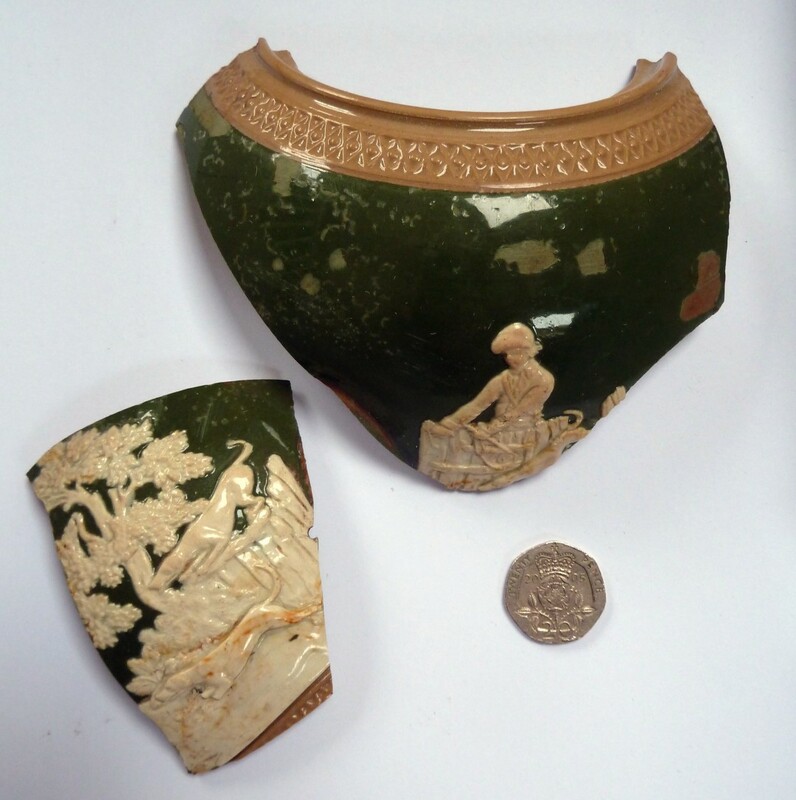 Dumped with generally old and worn crockery after the death of Mary Everett in 1908.